A loan of $1,600 helped to buy a dairy cow. Iljas is a married villager from southern Albania and a father of five children who are attending schools. They live in a region that has been rated 'very poor' through all the past years. The activity that Iljas has been running for the past seven years is livestock. He is requesting a loan at the moment to buy a milk cow. He sells milk to some nearby dairy farms, yet the money he makes from it is barely enough to secure food, let alone afford to buy other things. This is why he wants to add another cow, in hopes of improving their living conditions. Iljas is very happy that he had the opportunity to be part of the integrated projects. 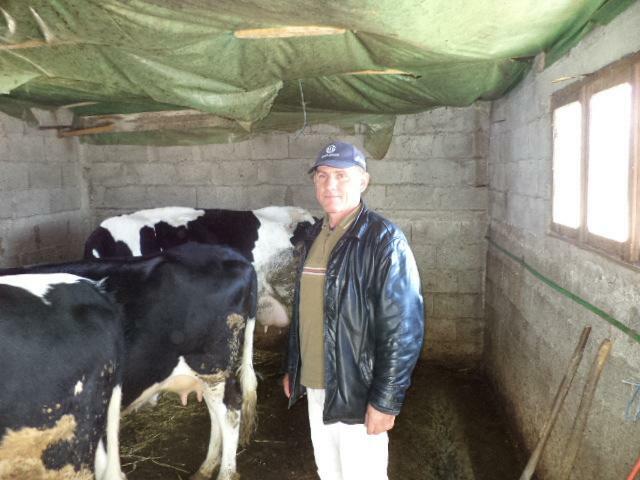 This loan is part of VisionFund Albania's value chain project designed to address the needs of extremely poor clients. The project has selected 90 clients from Area Development Projects and local economic empowerment projects run by WorldVision Albania (WVA) to serve the very poor. It will focus on livestock and agriculture financing, technical assistance, entrepreneurial skills training and expanding market access for clients' products. Importantly, interest rate payments will be covered by WVA. By supporting this loan, you are providing opportunity to some of the poorest people in rural Albania who have little to no access to credit, even through basic microfinance institutions.